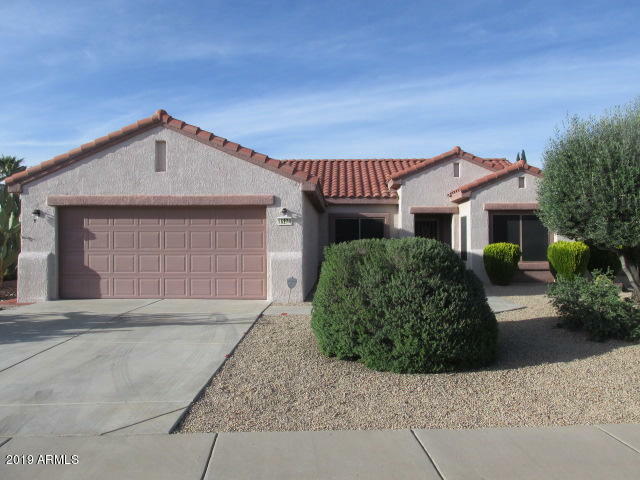 All SUN CITY GRAND DESERT BRE homes currently listed for sale in Surprise as of 04/23/2019 are shown below. You can change the search criteria at any time by pressing the 'Change Search' button below. "Terrific price for this really nice 2 bedroom 2 bath with den, Madera model in Sun City Grand! This home has beautiful landscaping, large living room area, formal dining nook and breakfast bar, huge great room, separate den, two large bedrooms, attached garage with storage cabinets, great curb appeal and more! All this and a great Sun City Grand location with golf course, walking trails, shopping and restaurants nearby, this home has it all!"